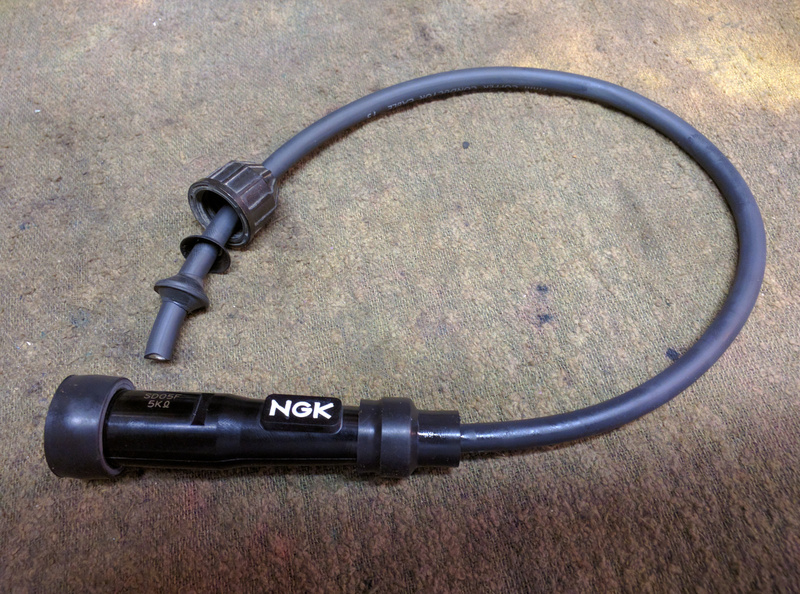 All you need is a few feet of 7mm copper core ignition cable and 4 NGK SD05F resistor caps. 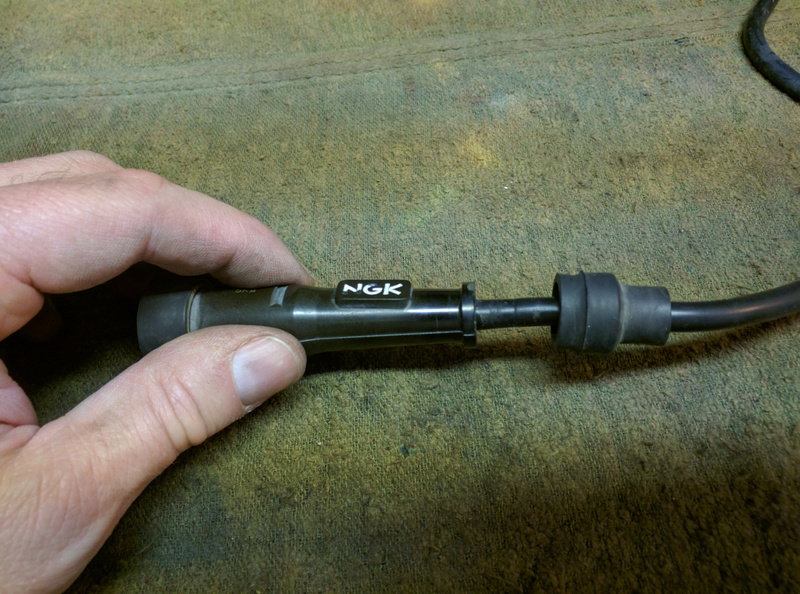 A few feet of 7MM copper core raw sparkplug wire and NGK SD05F resistor caps. Unscrew the old resistor cap from the old wire. We’re not reusing the old resistor caps but this allows using the old wire to measure how much to cut off for the new wire. Unscrewing the resistor cap from the cable. Remove the grommet, washer, and screw on cap from the coil end of the old cable as well. We will be reusing these bits so don’t lose them. Grommet, washer, and screw on cap. Now line the old cable up against the new cable and cut off a bit of the same length. 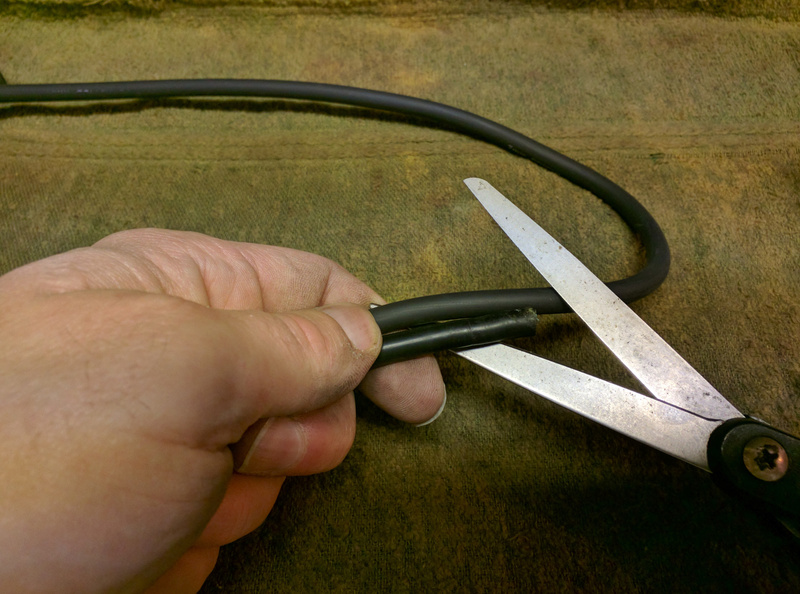 A pair of sharp scissors is all that you need to cut the cable. Cut the cable to length. 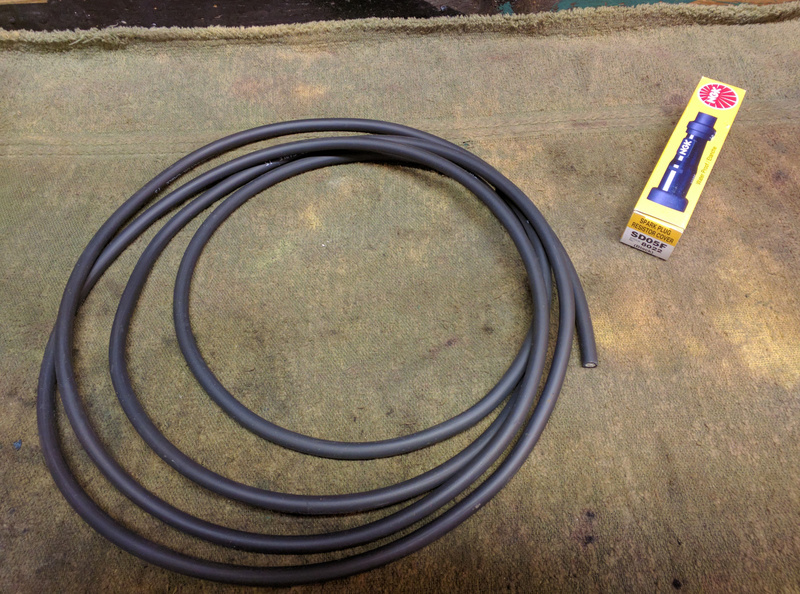 You should now have all the bits you need to make a new ignition cable. All the bits needed for the new cable. Here’s a view of the old resistor cap with the rubber boot removed. See the screw down inside there? That’s what holds the cable and makes contact with the copper wires in the core. 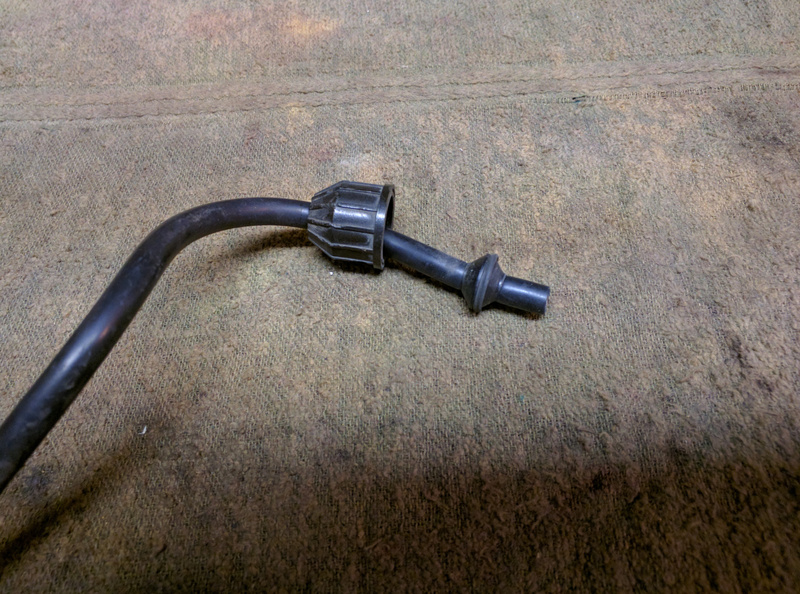 On the new resistor cap squirt in a dollop of dielectric grease and then insert the cable through the boot until you feel it make contact with the screw. 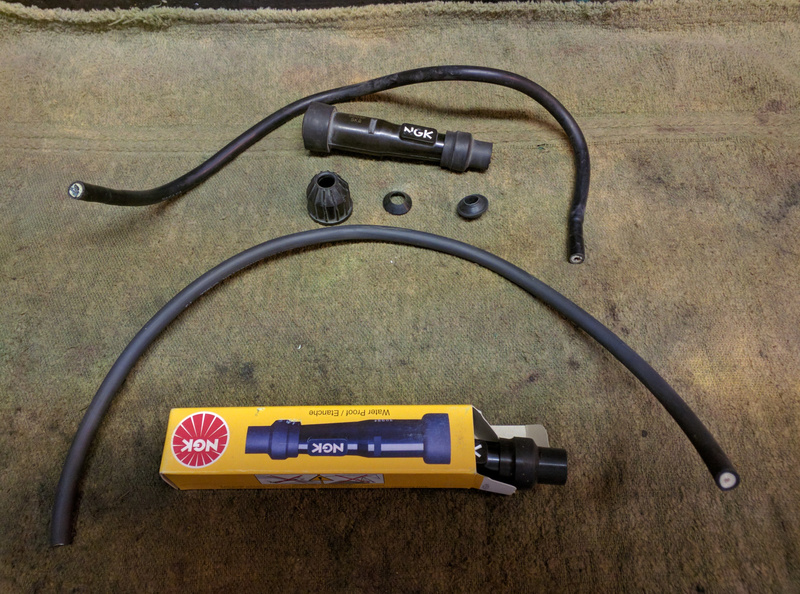 At that point apply a little bit of pressure and screw the cable into the cap until it’s snug. 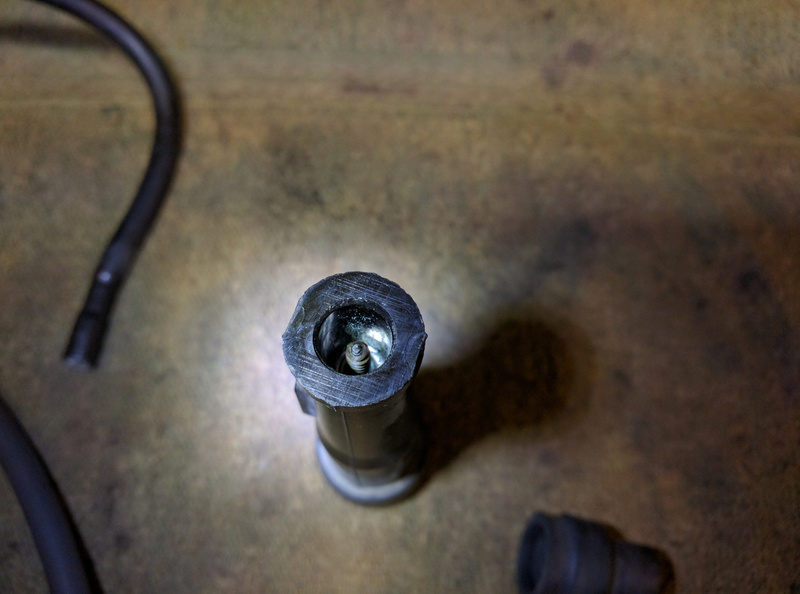 While you have the dielectric grease out throw some in the spark plug end of the resistor cap as well. Now slide the coil bits on the other end of the cable in the correct order and you’re ready to install. The coil has a spike rather than a screw that stabs the core of the cable to make contact with the wires. Make sure the grommet is far enough back so that the cap provides enough pressure holding the cable on the spike once it’s screwed on to the coil. Squirt some dielectric grease inside the coil before installing the cable. New cable ready to install. That’s it. 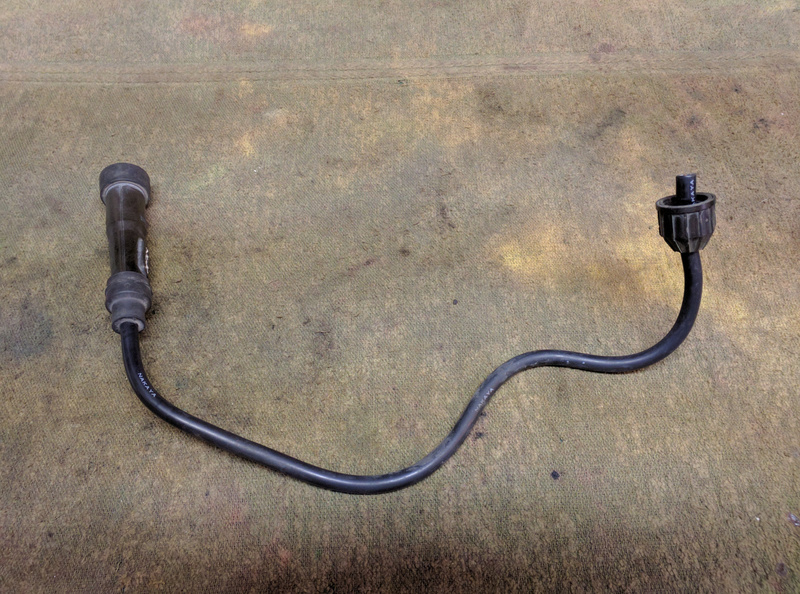 Once the one end is installed on the coil run the other end to the spark plug and press the resistor cap onto the spark plug. Now just repeat this 3 more times for the other cables and you’re done.